If you need a desk to work 1 day a week, we offer single day tickets, flexibility is the keyword here. For everyday access the Fixed option is best for you. If you need 24/7 access Business Address with Mail, the Fixed+ is the best choice for you. 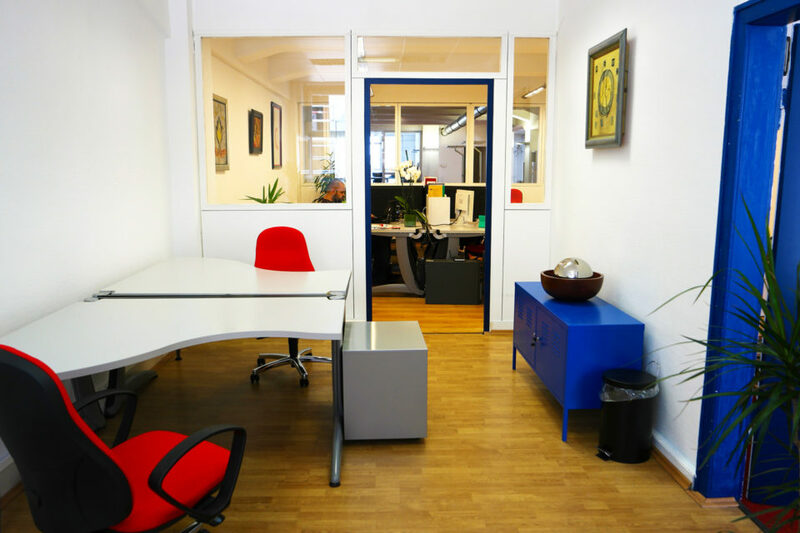 We offer private offices, you have all the benefits from the coworking space and more privacy. Enjoy working in a productive environment around others coworkers. All our standard working spaces include an ergonomic chair, a comfortable desk and internet access. Fixed & Fixed+ as well as Office S, M, L, include Rolling & High cabinets. Co-Work Lab provides private offices, hot desks, and an open area with 16 places. 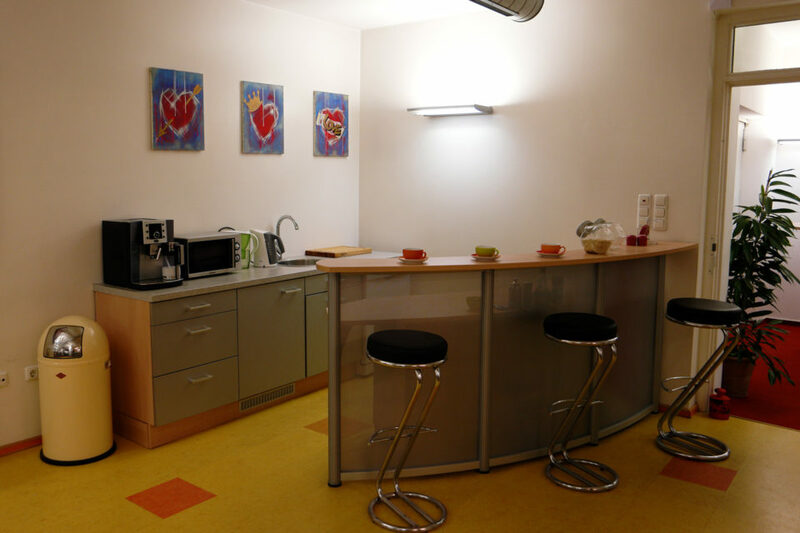 We offer a small kitchen and a Coffee Corner where you can chat, work or just relax. Our Office S offers place for 2 Coworkers with the option to add an extra one. 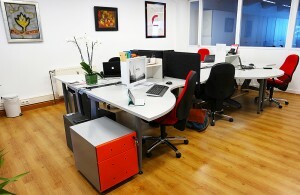 It includes all our coworking space services. Great for small groups that wish more privacy. The Office L has room to accommodate 4 coworkers with the option to add 2 more. 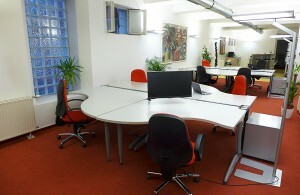 Here’s enough space for a small Start-up, in addition to enjoy the company of peers in a productive environment. The open space is the heart and soul of the Lab. Here you can open your mind to creativity, enhance your effectiveness, avoid loneliness and get inspired by like minded people. Thus improving or creating an amazing network. That’s what a coworking space is all about. 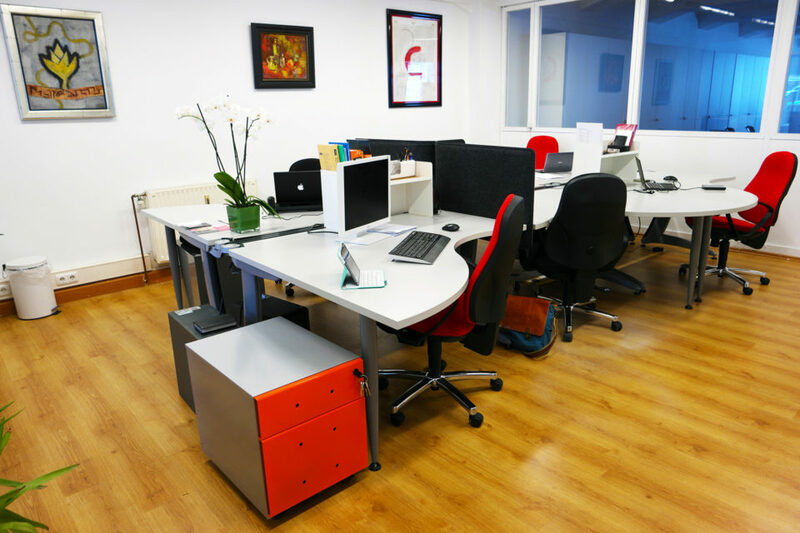 Our coworking space is a place where you can be productive. As a result, you get a ready to use office place. Therefore, if you need something to be more creative, talk to us, we’ll try to find a solution for all your needs. We offer a place to work, but together we make it your own. In other words, help us make the coworking space a better place to work, we are open for all ideas, different color for the walls, new pictures, etc. Good atmosphere in a great location! I feel well in CoWork-Lab. 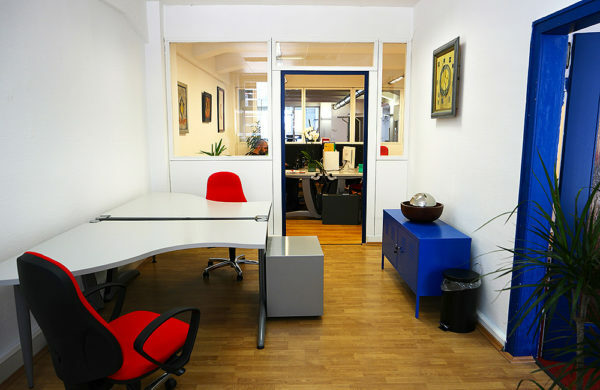 It has a relaxed atmosphere and you can concentrate well in the community work area. If you fancy a chat you can go into the kitchen, enjoying a delicious coffee from a professional machine and chat with the "colleagues". 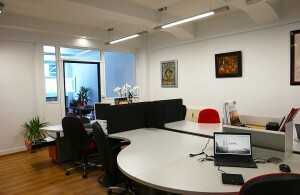 In addition, Eric and his team are always there to beautify, expand and improve the CoWork-Lab. Overall, far more grounded than the "Start-Place" at the Media Park and fairer prices. Great people, great prices, great atmosphere and great coffee 🙂 Was 2 days on site and certainly not the last time. Great people. I was warmly welcomed. Within 2 minutes I was installed. I will happily come back. Top location and very nice working atmosphere! Very cool Coworking. We switched from the Media Park. The team does a great job! Sensational service, perfect team, 100% recommended. The office is found in an excellent location right in the center of Cologne! 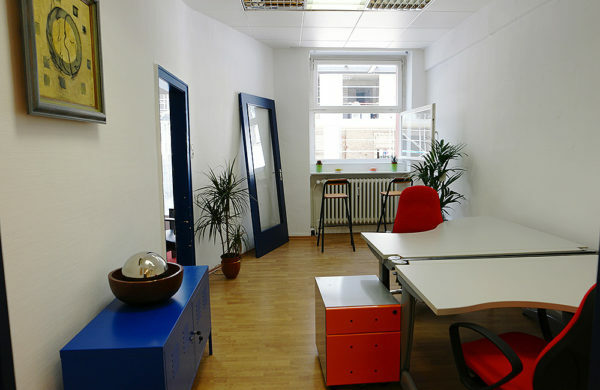 The roomy space is great for freelancers because it is quiet yet open for plenty of free-thinking. What is CoWork-Lab? And how does it differ from other coworking space or corporate shared offices? Unlike traditional shared-office spaces and other coworking spaces, CoWork-Lab is all about community and bringing together creative minds. We don’t have nor impose any strict corporate rules, although, we do have a few reasonable ones, because we want to give companies and freelancers the freedom to explore and expand, with limited restrictions. 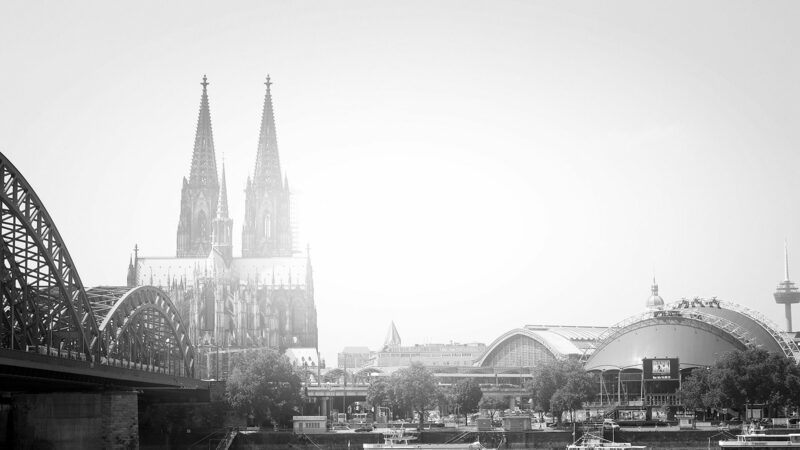 The idea is simple: bringing people together that would otherwise not have access to such great services and amenities, as well as nurture a work culture unlike any other coworking space in Cologne. Very fast actually, we are able to easily accommodate all our members with a shared bandwidth of 450Mbit down and 20Mbit up speed. The coworking space office is open Monday to Friday from 9am to 6pm. However, you can get 24/7 access with some of our packages, so you can unleash all your creativity. CoWork-Lab offices in the Machabäerstrasse 28 are conveniently located in Downtown Cologne between two metro stations and the Central railway station, therefore, granting you and your customers and partners fast and convenient public transportation throughout the Cologne and Metro area. May I bring personal Artworks? Sure, why not? Just let us know if you want to bring something to make the Lab more personal. May I bring my own cabinet or chair? Again, why not? Although we provide really comfortable and ergonomic chairs, if you want to bring your own chair, feel free to do it. Regarding cabinets, mind the size, we have really compact ones and some wall mounted, it should be enough space for everyone. If you have any additional questions, enquiries or comments drop us a line at holla[at]cowork-lab.co and we’ll be glad to answer any additional concerns you may have! 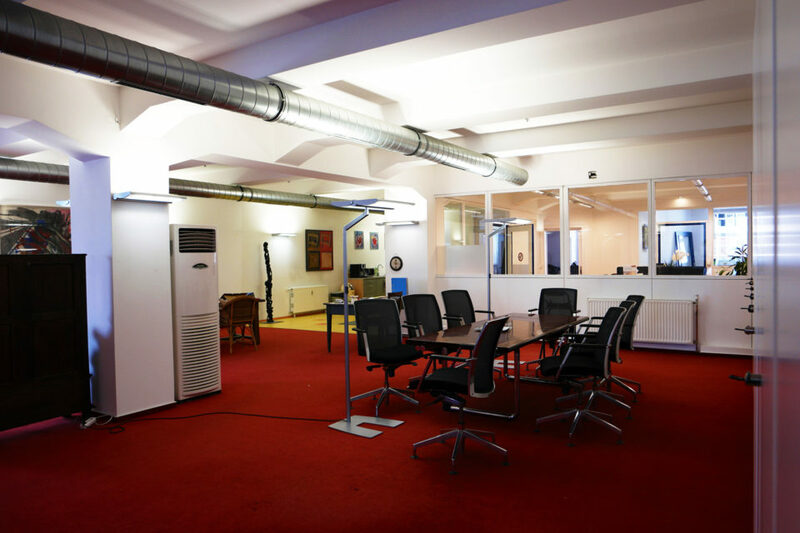 If you are looking for an effective yet comfortable conference room in Cologne, look no further, with us you’ll get the most suitable space possible. 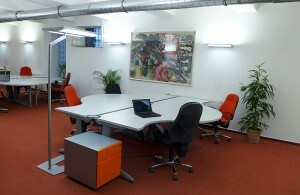 Our meeting/conference room can accommodate up to 8 people and is located in the heart of Cologne. 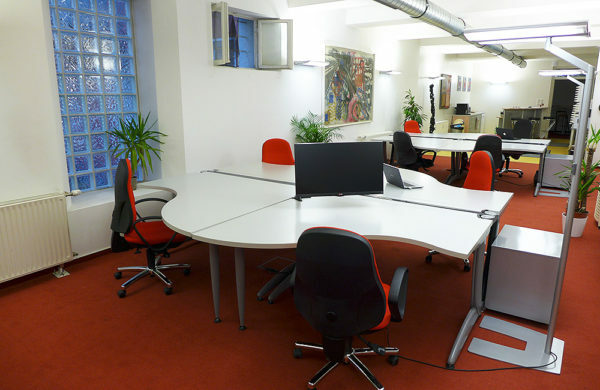 The space is utterly suitable, if you’re planning to have a meeting with your colleagues or clients. The meeting/conference room will automatically be equipped with some notepads and pens, which allows you to do some brainstorming during your event. Furthermore, we have high-speed WiFi, a flat screen with HDMI, whiteboards, flipcharts, and you can even use the windows as chalkboards. For an extra charge next to your rental price, you can rent a projector and screen, an additional flipchart or whiteboard, to sum up, if you need anything else, you can always contact us to discuss options.